The Vitrex Premium Valved Moulded Sanding & Insulation Mask protects lungs against fine non-toxic particles. Breathe-easy valve offers extra comfort when exerting greater physical effort/body movement. Ideal for working in confined positions (i.e when crouching or bending). 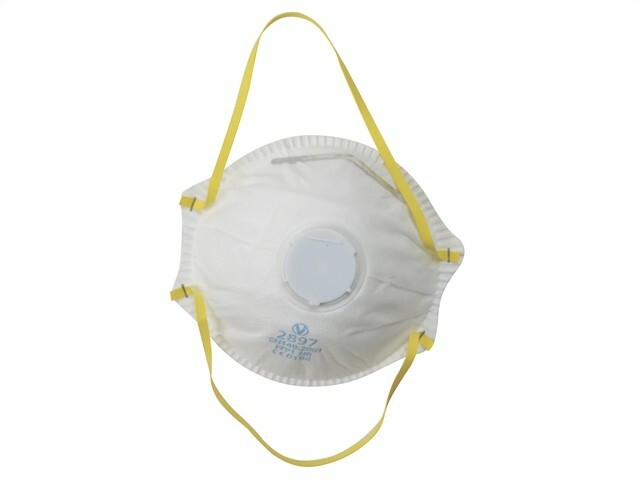 Ergonomically designed moulded mask for an airtight seal with a secure and comfortable fit. Suitable for sanding paint, plaster, softwoods and plastics. Ideal for laying fibreglass insulation.